Stampin’ Up! 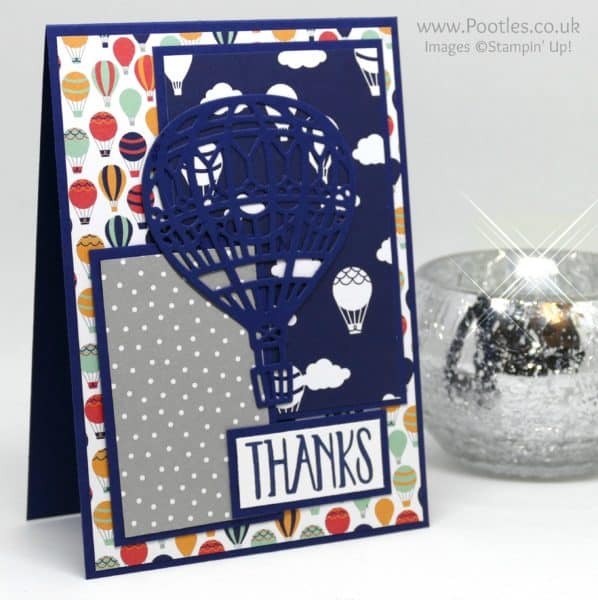 Demonstrator Pootles – Free Carried Away Paper makes a lovely card! Free Carried Away Paper makes a lovely card! I think we all love a freebie don’t we. Whether it’s a ‘gift with purchase’ when buying cosmetics or a 3-for-2 in a supermarket on the bread/butter/ice-cream. We all love it. So Stampin’ Up! with the amazing Sale a Bration freebies is one that makes me super happy! There’s so many different stamp sets, papers, glimmer and ribbons that you’re hard pressed to choose which one to go for. Thank goodness that it’s not ‘offers over £45/€60 but instead it’s increments per order! Yay for multiple freebies! I’ve got the lovely Carried Away free paper on my layered card today that pairs perfectly with the Up & Away Thinlits in the Spring Catalogue. I did ponder about reflecting the balloon’s colours differently, but I like the Night of Navy and how it appears to be floating off that navy and white paper. Finally, my wording is from the Perfectly Wrapped stamp set. I wanted to keep the sentiment simple, so this was a great option! Wishing you a beautiful Sunday!! Lovely card. Such fun papers, and they make a very cute card with the large balloon. tfs! 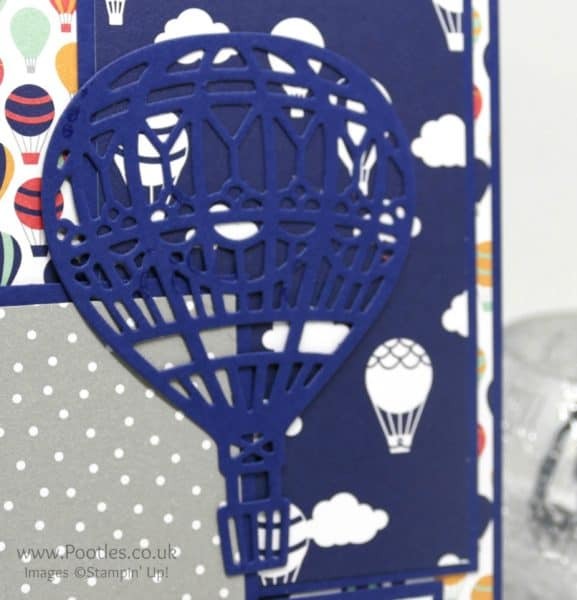 Very pretty card, love the hot air balloons. Hi Sam….how are you doing?….hope in good health…..making new project for us…..i was not in touch few months….but I want to say it’s good that ur with ur hubby now…..it’s good that once again ur family is full…..love you a lot …and hoping some day u will come to India….n if so pls let me know would love to be ur host……wating for ur rly….